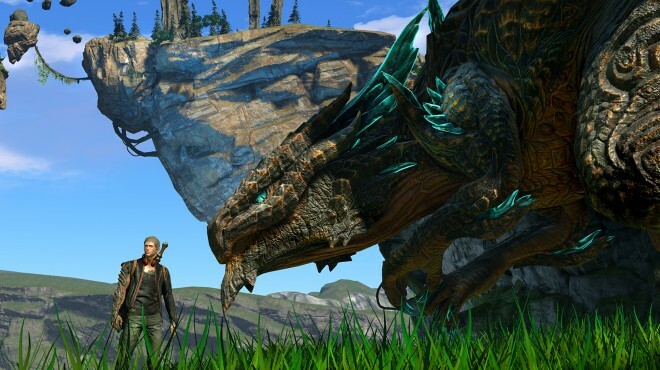 It is always a sad thing when a video game that people have been working on for years ends up being cancelled, but that’s exactly what has happened to action role-playing game Scalebound, as Microsoft recently announced that the game will no longer be coming to the Xbox One this year. So Scalebound sadly joins the list of cancelled video games, and is now the second game slated to come to the Xbox One that is cancelled in the last few months after Microsoft closed Lionhead Studios last year, leading to the cancellation of their promising-looking Fable Legends video game. Scalebound was certainly a good-looking game too, an action role-playing game set in a medieval fantasy world featuring sandbox gameplay and a four player co-op multiplayer mode. In the game, players would have also had a pet dragon they could command in battle, and this was also looking like a game that would push the Xbox One to its limits graphically-speaking as seen in the gameplay trailers put out by Japanese developer PlatinumGames (see below for a trailer, courtesy of IGN). Regarding the game’s cancellation, Microsoft issued a statement saying that “after careful deliberation, Microsoft Studios has come to the decision to end production for Scalebound” and that “we’re working hard to deliver an amazing lineup of games to our fans this year, including Halo Wars 2, Crackdown 3, State of Decay 2, Sea of Thieves and other great experiences”, as reported on Eurogamer. It’s clear that by emphasizing its other Xbox One games slated to come out this year like Halo Wars 2, Microsoft truly means that Scalebound is really dead and buried now… And it’s likely many gamers will be disappointed by the news given that Scalebound was one of the most promising games scheduled to hit the Xbox One this year. According to Eurogamer, several senior members of Scalebound’s team took a lengthy break from the project las year, which is never a good sign in a big AAA game of this kind. But it’s not that PlatinumGames is lacking in talent though, as the game’s director was Hideki Kamiya, an industry veteran who had worked on the Resident Evil, Okami and Bayonetta games, while Scalebound’s designer Yusuke Miyata was a man who had collaborated with Hideo Kojima on the Metal Gear Solid series. The relationship between Microsoft and Osaka-based PlatinumGames apparently wasn’t a great one though, and the fact that the project had fallen behind schedule and also the fact that the there were issues with the game’s engine meant Microsoft finally decided to cancel Scalebound for good. This is something that quite a few pundits likely saw coming taking into account that the game had been curiously missing from an Xbox Wire talking about the future of the console, according to an earlier Kotaku report. But could the game return in some form, in the same way that Blizzard turned their failed project Titan game into multiplayer sensation Overwatch? This seems unlikely at this point, although it definitely wouldn’t be a bad thing for the video game industry if Scalebound’s best ideas ended up being seen in other console games in the future.